day 121 and its a REALLY busy creating day today. i have a stack of kids coming to our halloween party and they are all going to need a treat bag for their goodies! 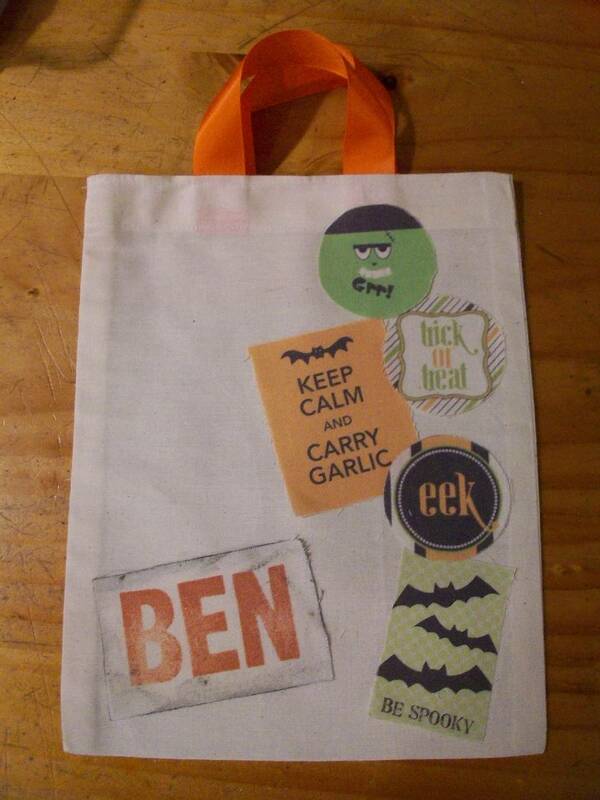 given the number i need to make i wanted a simple, quick bag that i could personalise for each child. found the simple, quick bag on pinterest from the purl bee ... love this website it has the best tutorials and they come with brilliant pictures that demonstrate every step as well :) the bag is also pinned to my party ideas board. i couldn't find any cute unisex halloween material so i have opted for calico and some home-made decorating! 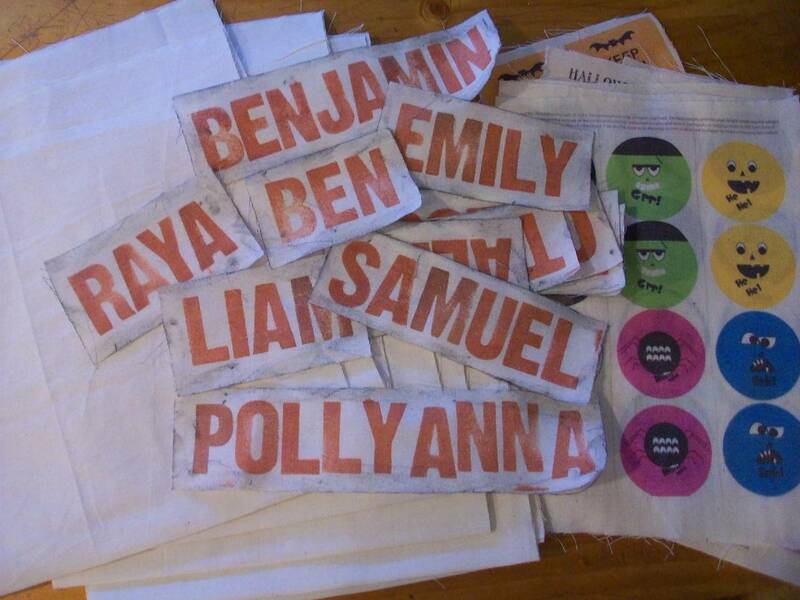 i also stamped each persons name onto some calico so each person would know their treat bag. 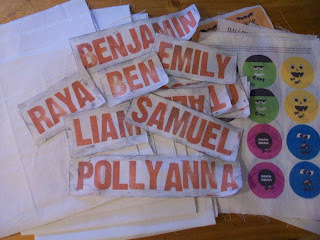 the names and fabric printables will be attached using heat'n'bond ... yip another favourite of mine! i thought about sewing all these bits on but with so many to make the heat'n'bond was too enticing! cut, stamped, printed, and ready to sew! 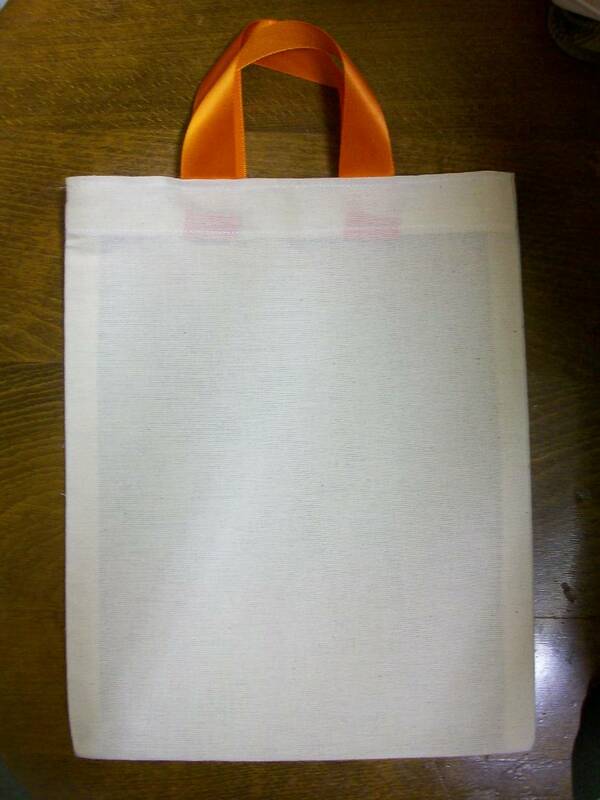 the fully decked out bag! my sincerest thanks as always to the purl bee, its fast becoming one of those websites i visit daily! and for all the wonderful people who provide freely downloadable graphics THANK YOU from my heart to yours.